PHILADELPHIA (AP) — The Academy of Natural Sciences has never been one to brag. Its 225,000 annual visitors may associate the nation's oldest natural history museum solely with dioramas and dinosaurs, but behind the scenes there is groundbreaking research conducted by world-renowned scientists and an enviable collection of some 18 million specimens representing all manner of animal, vegetable and mineral. In celebration of its bicentennial this year, the museum has finally decided that it's OK to boast a little. For what's believed to be the first time in 200 years, curators will bring the public into the labyrinthine museum's normally off-limits nooks and crannies for daily tours. "This is a rare opportunity to get a firsthand look at some of the most stunning, and sometimes bizarre, creatures you've ever seen," said Academy president and chief executive officer George Gephart Jr. "We can't wait to open our doors and show off nature's, and the Academy's, wondrous bounty." The Academy will highlight a different part of its collection starting with minerals in April and ending with fossils in February 2013. Other months will focus on birds, fish, insects, mollusks, amphibians and reptiles, plants and mammals. "We've done behind-the-scenes tours with school groups, and with donors and members, but not anything like this," said Ned Gilmore, an Academy collections manager. Depending on the tour, visitors might see drawers filled with exotic colorful birds, cabinets holding polar bear skeletons, jars of preserved snakes, boxes of beautiful shells that when alive can kill a human, a wall of enormous elk skulls, a narwhal tusk and a mounted — and extinct — Caribbean Monk Seal. An accompanying exhibition, "The Academy at 200: The Nature of Discovery," puts dozens of the academy's show-stopping treasures on public display — many for the first time — and highlights research that museum scientists are conducting worldwide on hot topics of climate change, biodiversity, water quality and invasive species. The tours, exhibit and other events in the coming year aim to shift some focus from the museum's storied past to its present and future. As in the natural world, the axiom "adapt or die" applies to the Academy, which like many museums has struggled in the past decade with a shrinking endowment and greater competition for philanthropic dollars. New initiatives include an affiliation forged last year with Drexel University for collaborative education and research efforts and a popular lecture series on environmental issues and policy. A five-year institutional plan to be completed by June will examine additional ways to keep the museum relevant entering its third century, said Sara Hertz, vice president for strategic initiatives. 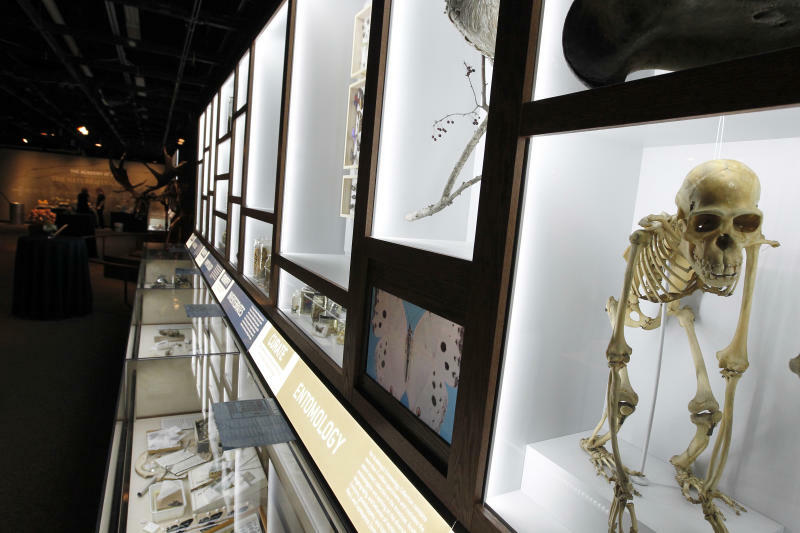 Founded in 1812 by a group of naturalists seeking to advance a scholarly view of the world, the museum is like a library of life on earth with holdings of a mind-boggling size and scope. 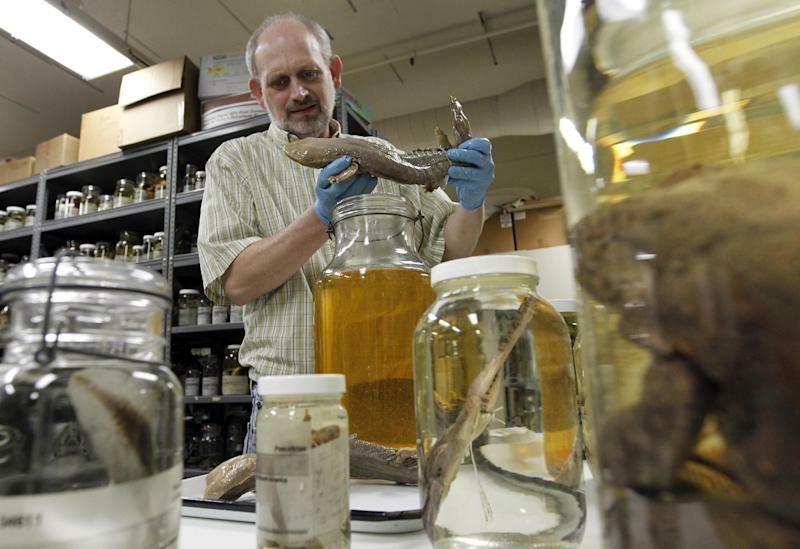 Thousands of birds, bugs, reptiles, fish, mollusks, fossils and plants are meticulously catalogued and stored in jars, shelves and cabinets. Its many historic collections include Thomas Jefferson's fossils, Lewis and Clark's plants, and bird skins from naturalist John James Audubon. Alongside the preserved skins and skeletons of centuries past, Academy researchers are studying avian flu in Vietnam, testing streams in Pennsylvania's Marcellus Shale gas drilling region and examining oysters for environmental fallout of the Gulf oil spill. Others are developing pain medicine from cone snail toxin and examining whether biofuels can be developed from the wood-digesting enzymes of ship worms. As species continue to become extinct, the images and specimens preserved in the Academy's collections will become even more crucial, said Doug Wechsler, head of the museum's Visual Resources for Ornithology (VIREO), the world's most comprehensive collection of bird photographs with 150,000 images and growing. 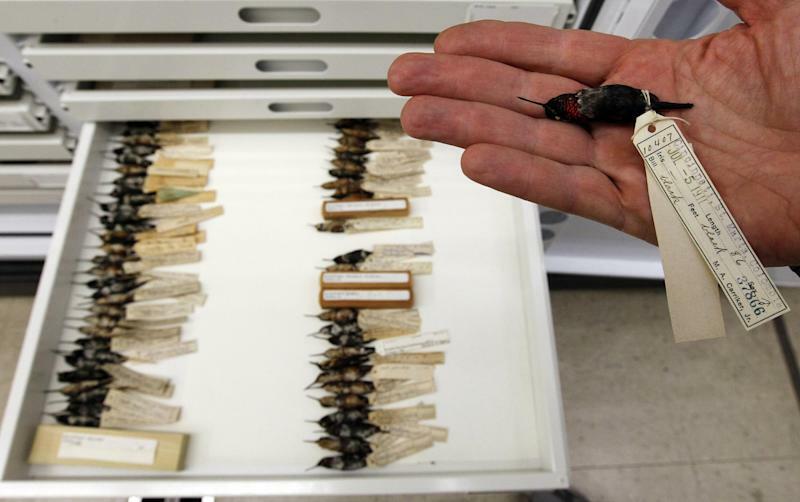 "There's enough here to keep us busy for a very long time," said malacology collections manager Paul Callomon. The 20-minute guided tours start April 15 and continue every Thursday through Monday at 11 a.m. They are limited to a maximum of 10 people, ages 8 and up; more tours will be added when demand dictates. Tickets are $7.50 and can only be purchased at the museum on the day of the tour.